The L.R. 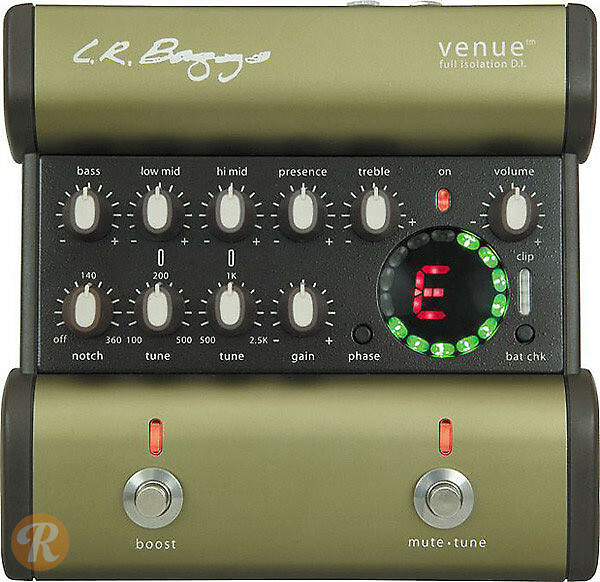 Baggs Venue DI is a singular solution for acoustic musicians who want to have full control over their EQ, boost and tuning from one venue to the next, regardless of the sound system or tech they are working with. The Venue DI is a full isolation, discrete signal DI with XLR or 1/4" outputs, featuring a five-band EQ with adjustable gain and a volume boost switch.